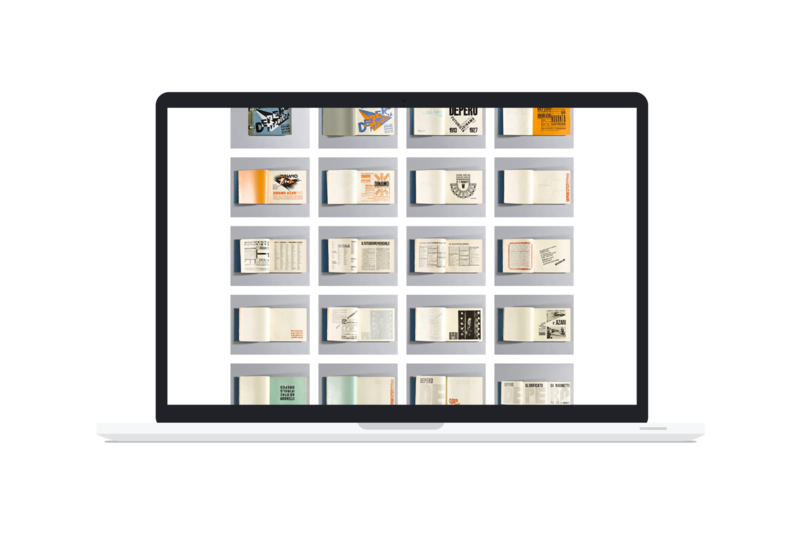 The official website for a facsimile project to produce the first exact copy of Fortunato Depero’s 1927 masterpiece of graphic design and bookmaking—Depero Futurista, one of the world’s most iconic design books, known as The Bolted Book for its unique industrial-bolt binding. 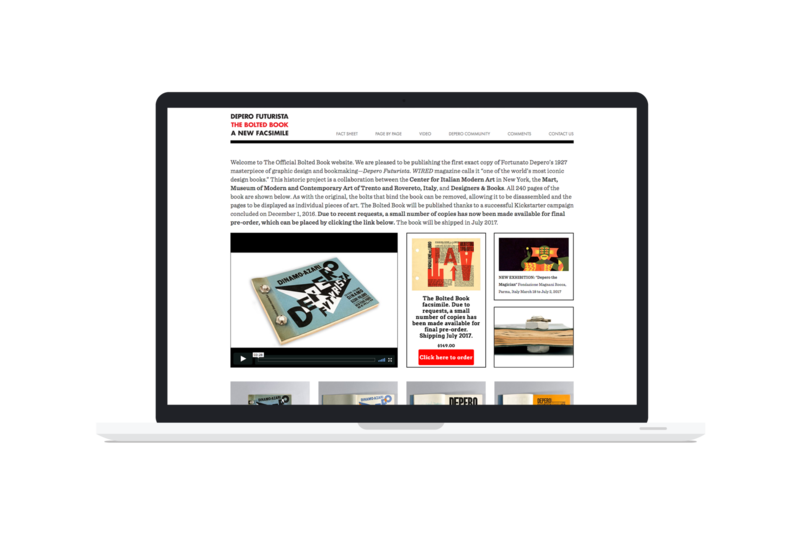 The website features information on the history of the book, showcasing all 240 pages of the book itself, as well as information on the facsimile project and links to archives and museums with Fortunato Depero resources. 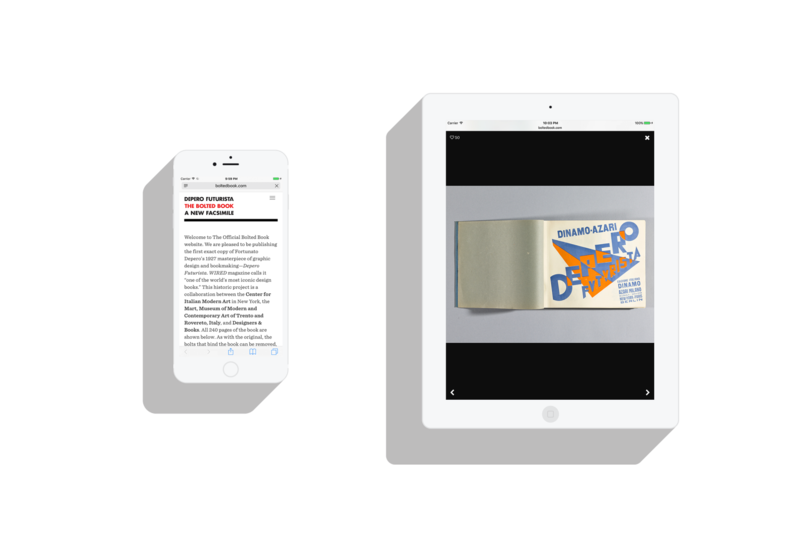 A collaboration between the Center for Italian Modern Art in New York, the Mart, Museum of modern and contemporary art of Trento and Rovereto, Italy, and Designers & Books the facsimile has been funded by a successful Kickstarter project.